Ted Wells living: simple featured Silvertop in a podcast in 2005. Wells visited with Dr. and Mrs. Burchill and enjoyed what he refers to as the sensuous curves of the house. His appreciative podcast, which can be found on the above link, reveals an understanding of what John Lautner understood: how people want to live. 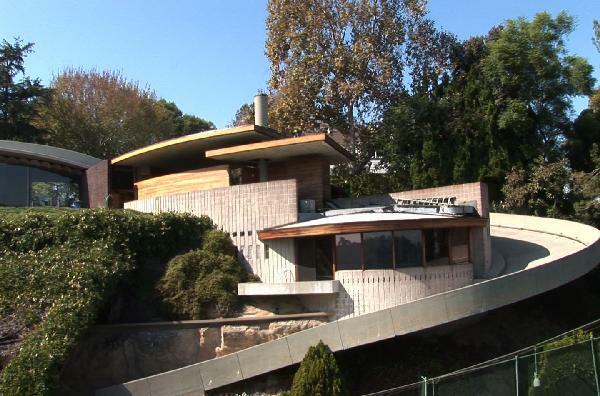 Karen Bergenthall of Tours d’Art in Los Angeles is offering a tour of Lautner homes in April. The details have not all been worked out yet but she has agreed to let us announce the tour now so that those interested can set aside the date. Homes on tour: So far, the Sheats/Goldstein and Silvertop homes are committed. Others are in the works. When more of the details are confirmed they will be announced here. Karen will donate a portion of the tour fees to the Foundation.